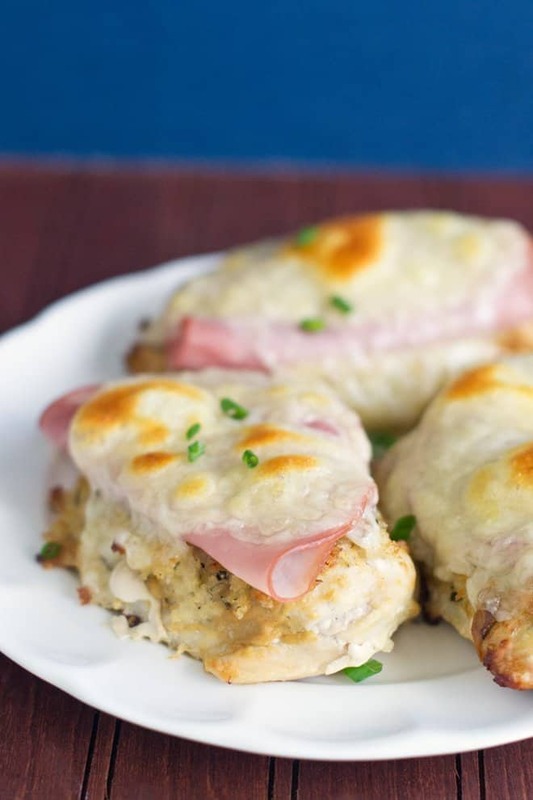 Learn how to make Chicken Cordon Bleu from frozen chicken breasts. 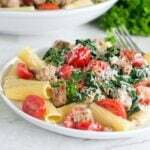 It’s a perfect quick and easy weeknight dinner idea. We’ve talked about cooking chicken breasts from frozen a few times now. That would be because I’m pretty obsessed with it. The convenience of having chicken breasts in my freezer and knowing that I can immediately get dinner started by putting them straight into the oven has been revolutionary in my house. Since first figuring it out, I’ve come up with some different tasty recipes that start with frozen chicken breasts. Today’s recipe is one of those. 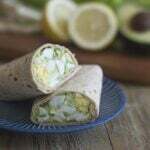 This is for a simple version of Chicken Cordon Blue. You don’t stuff the chicken breasts or anything like that (how could you since the chicken breasts are frozen!?! lol). Instead, you bread the frozen chicken in a quick and easy way and then bake it. I like to use a really heavy-duty baking sheet because of the high temperature involved. This is a great one. At the end of the baking time, top the breasts with a slice of ham and a slice of Swiss cheese. Return it to the oven to bake just until the cheese is melted and starting to brown. Done! As to baking the frozen chicken breasts, if you’re new to this it’s really easy. Follow the instructions in the recipe below. 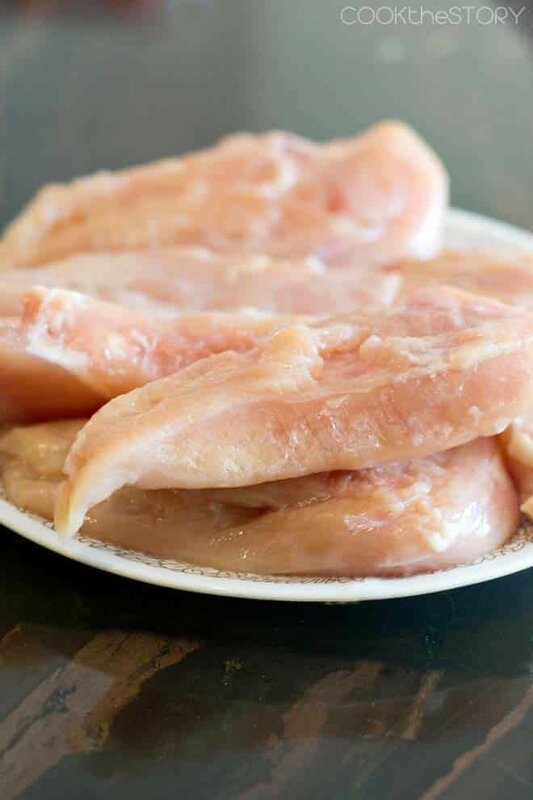 For more info, head to my Frozen Chicken Breasts Guide. Onto the easy Chicken Cordon Bleu recipe. 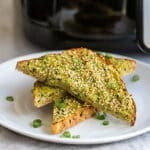 You’re going to love how easy this is, and how delicious. Yay! Preheat oven to 425ºF. Lightly oil a baking sheet. In a small bowl combine the breadcrumbs, oil, salt, pepper, garlic powder and thyme. Put the chicken breasts on the prepared baking sheet. Spread or brush 1 teaspoon of mustard onto each breast. Sprinkled with the breadcrumbs, pushing down to help them adhere to the mustard. Bake until chicken is 165ºF according to an instant read thermometer, 30-40 minutes. Remove chicken from oven. Top each breast with a slice of the ham, folded in half, and then a slice of the cheese, also folded in half. Return to the oven and bake until cheese is melted, about 5 minutes. Transfer to plates and top with chives if desired. Do you love chicken? 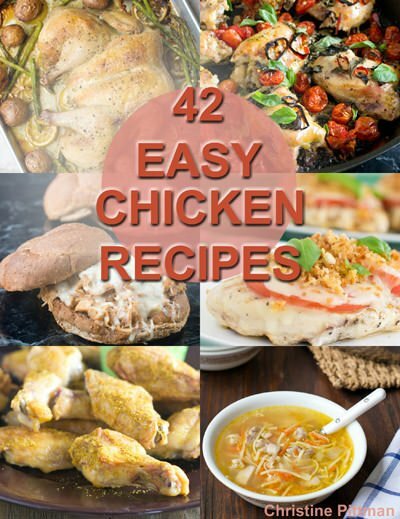 Get my free chicken ebook with 42 deliciously simple chicken recipes. Learn more here. Disclosure: This post contains an Amazon affiliate link. If you click on it and buy something, I receive a small commission at no additional cost to you. All opinions are my own. Made this great dish tonight. My chicken was pretty tall for lack of a better word. I ended up having to bake it for 55 min! I kept checking the internal temp with my thermometer. It came out perfect!! I served it with pan-charred green beans and spinach/cheese ravioli with some fire roasted diced tomatoes. So…here’s what I did. I had one done up complete in the freezer. I had an extra a few weeks ago and threw it in. My thought was, well you buy them that way, so why not make them! I wasn’t sure though whether I should cook from frozen or thaw. Reading your site, and your response I realized I could cook from frozen. Since you mentioned it may go soggy, I gave that more thought. I decided to deep fry it for three or four minutes to brown it. I then put it in the oven at 375 for an hour. It worked! It was crispy on the outside and juicy on the inside. Thanks for your help. I look forward to exploring more of your site. Lorrie, Wow! What a fantastic experiment. I’m so happy they turned out. I don’t have a deep fryer. I wonder what I could do instead. I’m going to give this some thought. 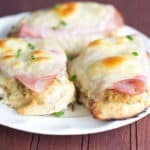 Can you make traditional chicken cordon bleu from fresh chicken, and freeze it uncooked? If yes, would you cook it from frozen? Lorrie, I’m honestly not sure. My concern would be that the breading would be soggy and wouldn’t crisp up and brown. I think what I’d do is make it the traditional way but don’t bread it. Then put the frozen breasts on a pan and follow the instructions from above for breading them (panko mixed with seasonings and oil, a bit of mustard on the chicken, push on the breading, bake). If you try it, let me know how it turns out! I’m trying this tonight! I will update to let you know how this came out.